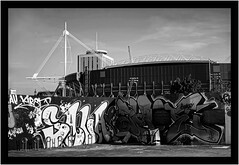 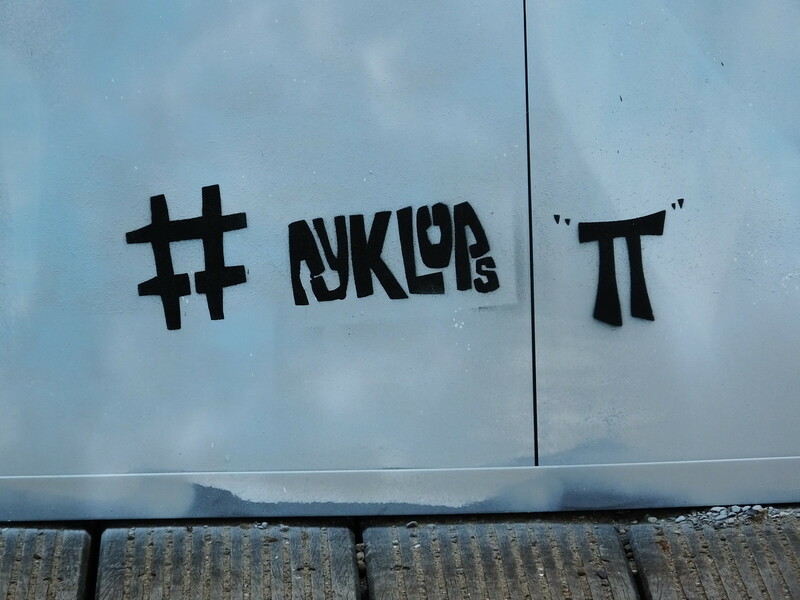 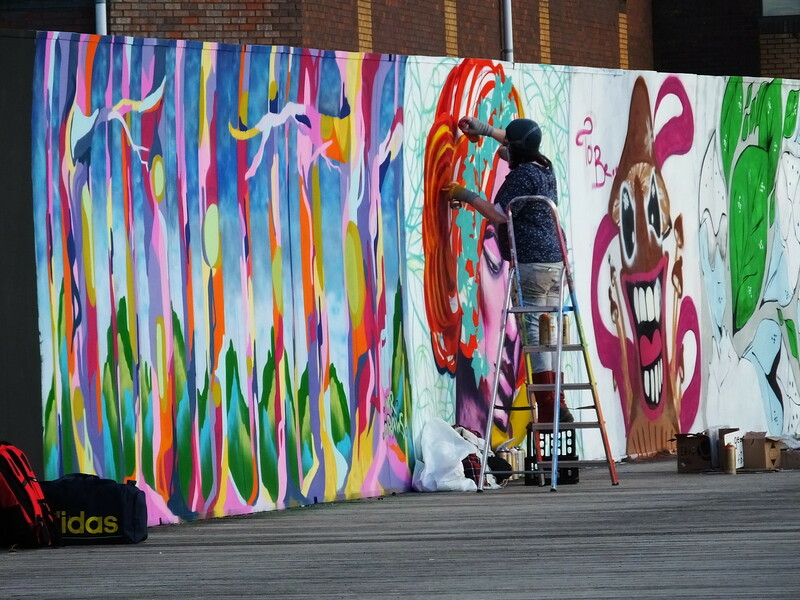 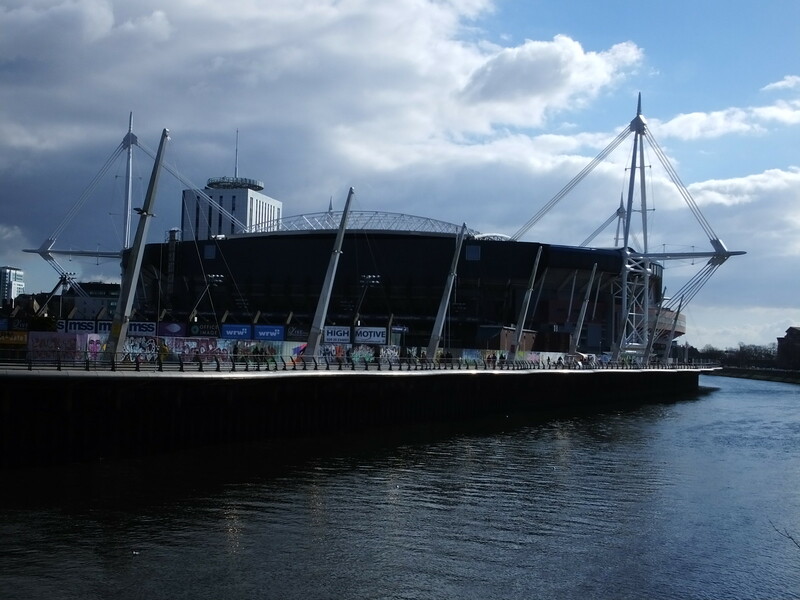 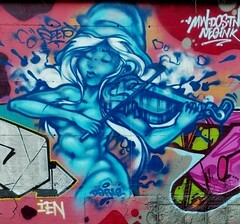 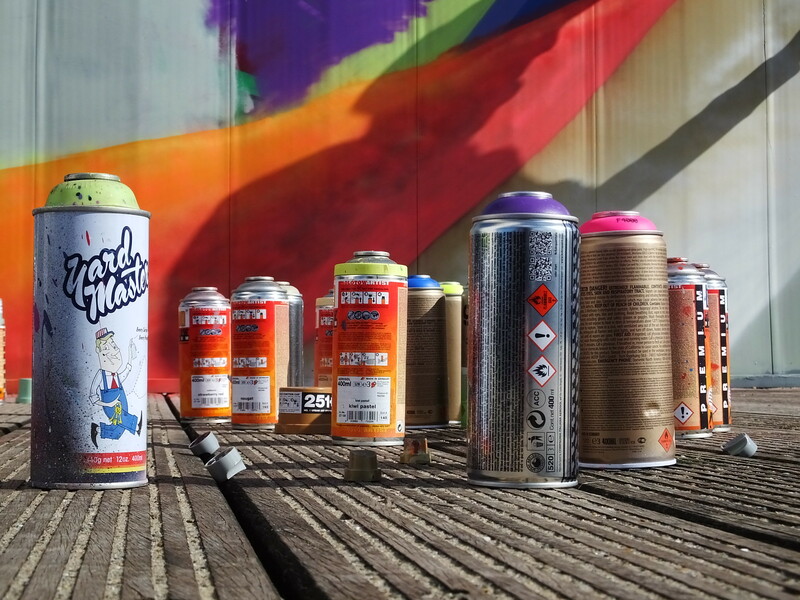 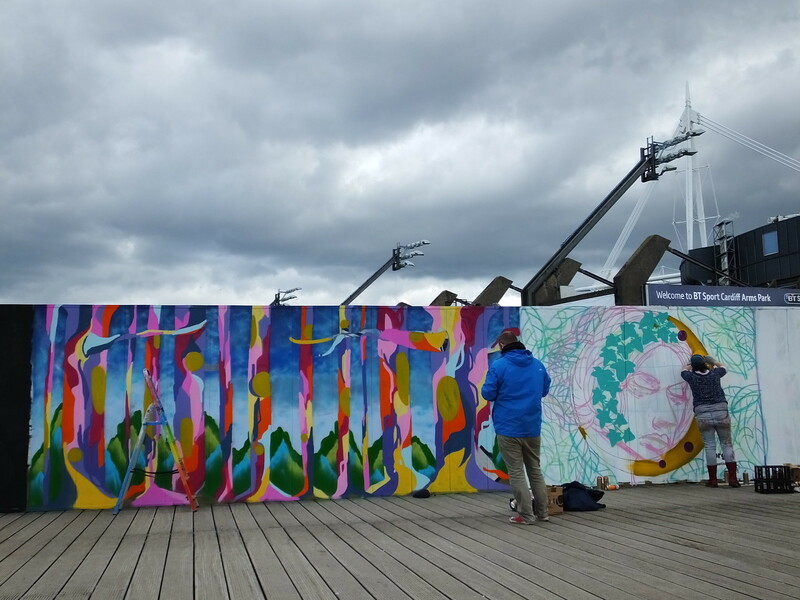 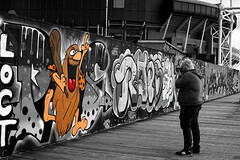 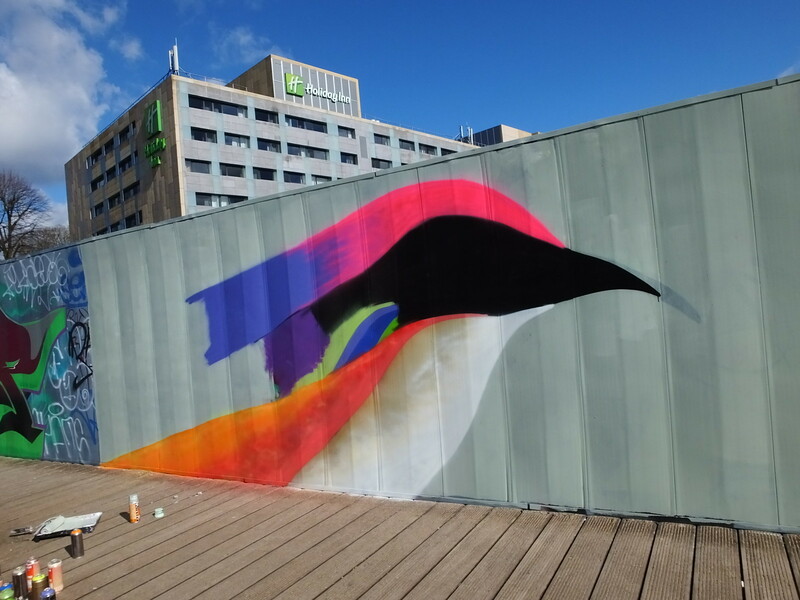 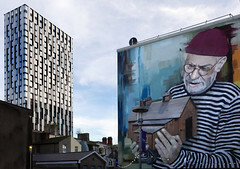 The latest street art event to be held in Cardiff took place right next to the Millennium Stadium over the weekend. 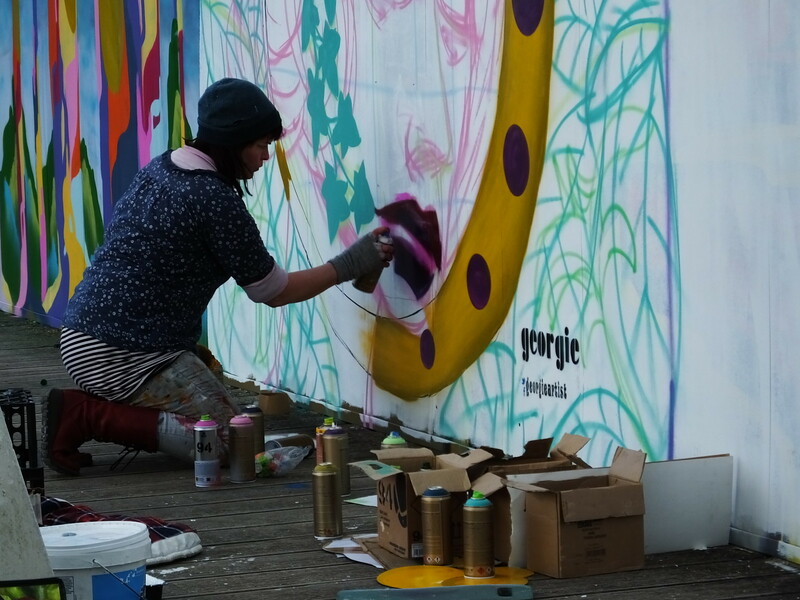 The two day event was called the ‘Back to Nature Paint Jam’ and was organised by local artist Amelia ‘Unity’ Thomas. 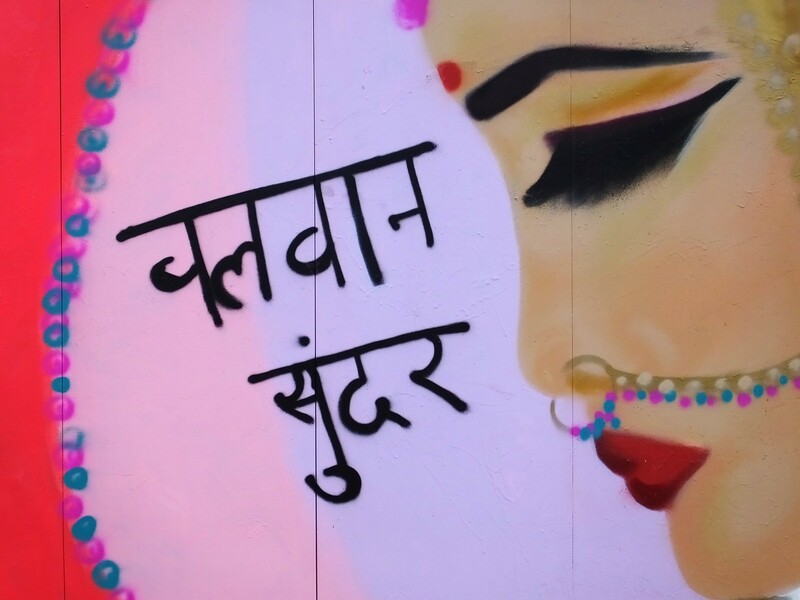 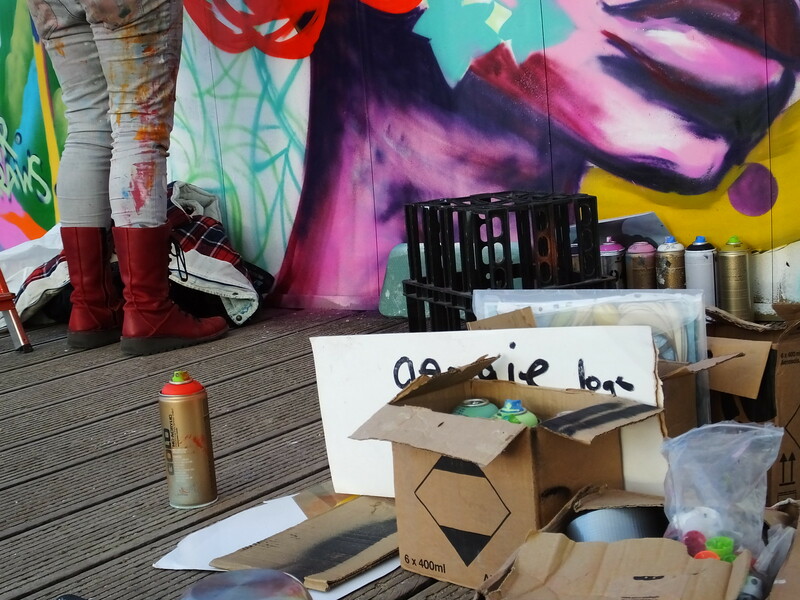 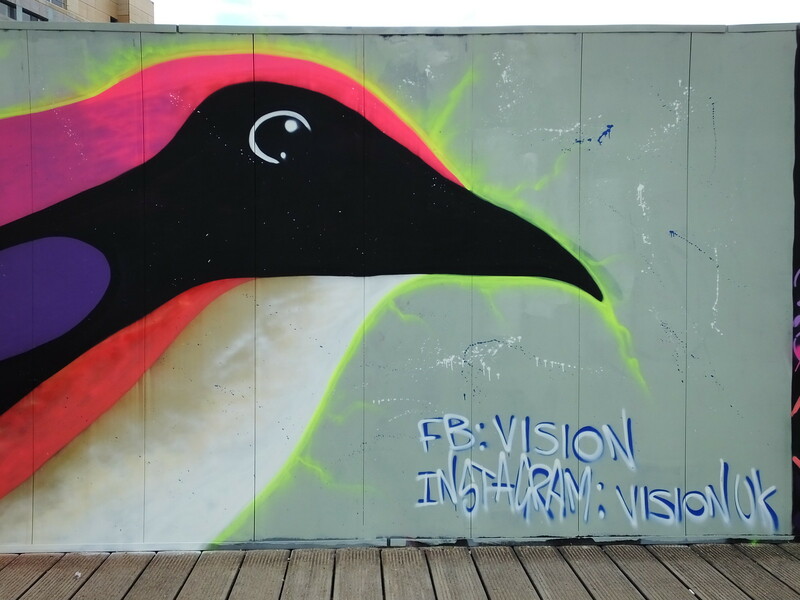 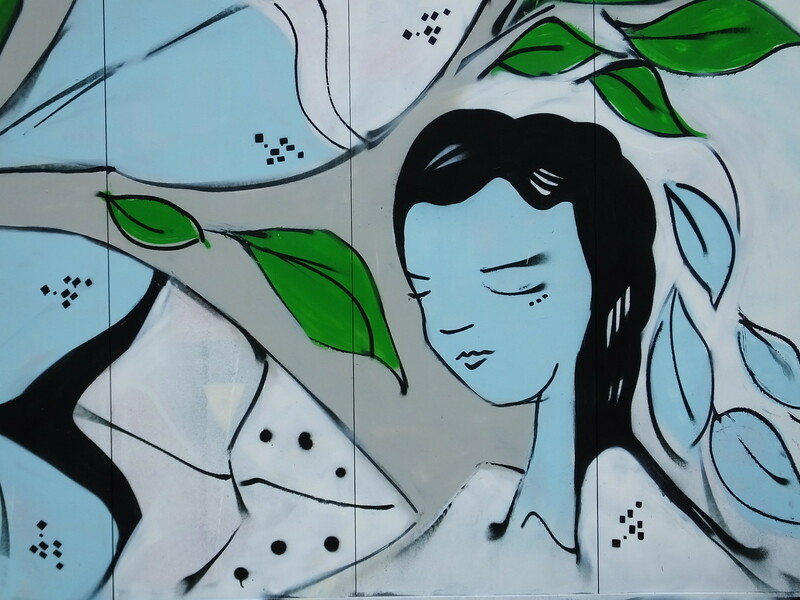 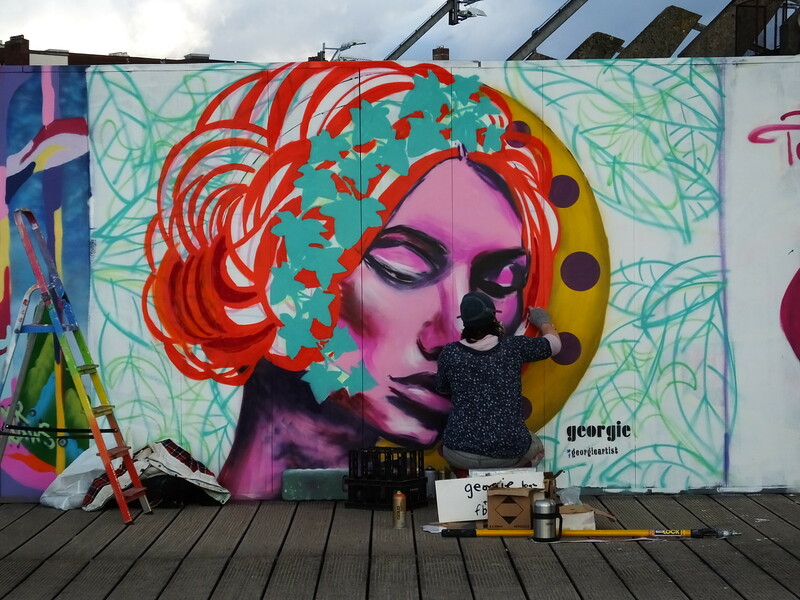 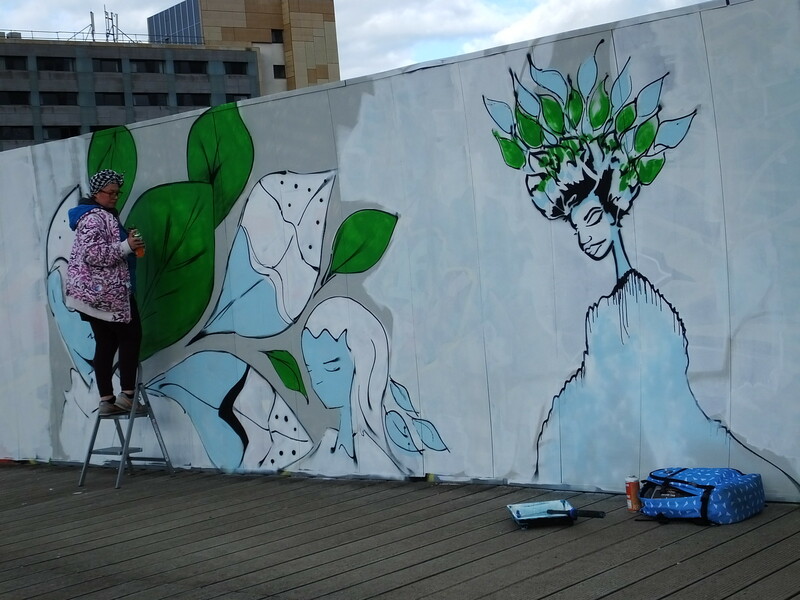 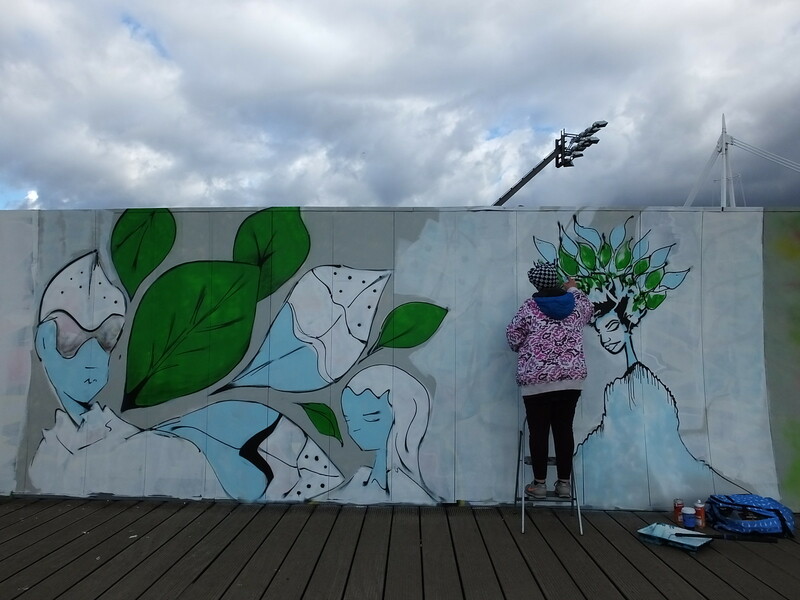 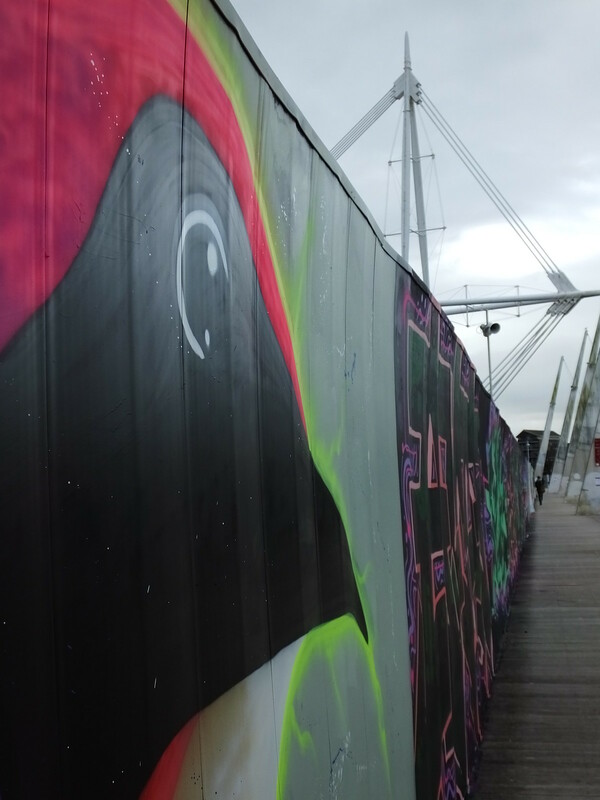 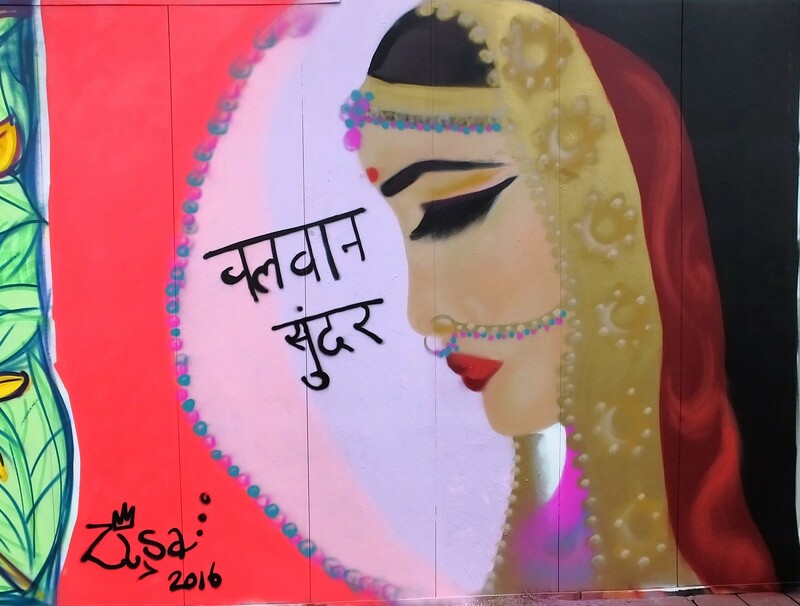 It was held to coincide with International Women’s Day on March 8th with around 30 invited artists painting along the Millennium Walkway situated next to the Millennium Stadium in the capital. 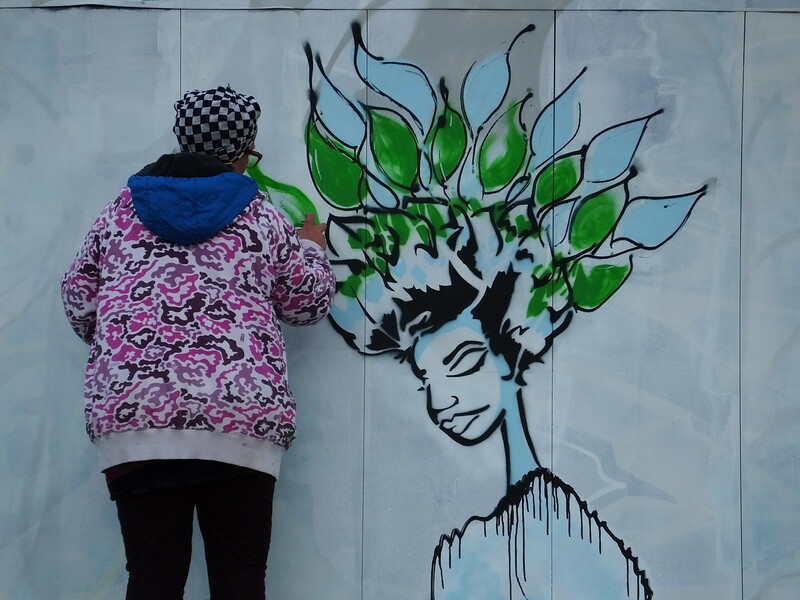 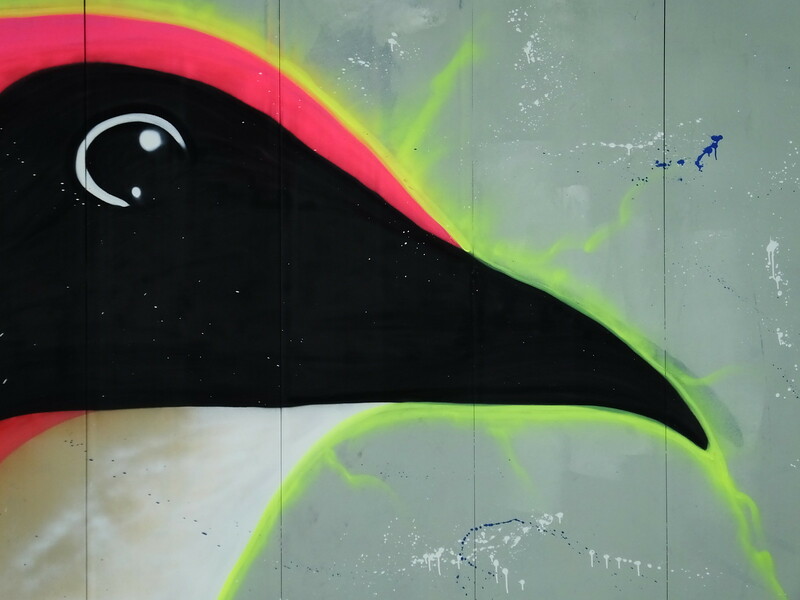 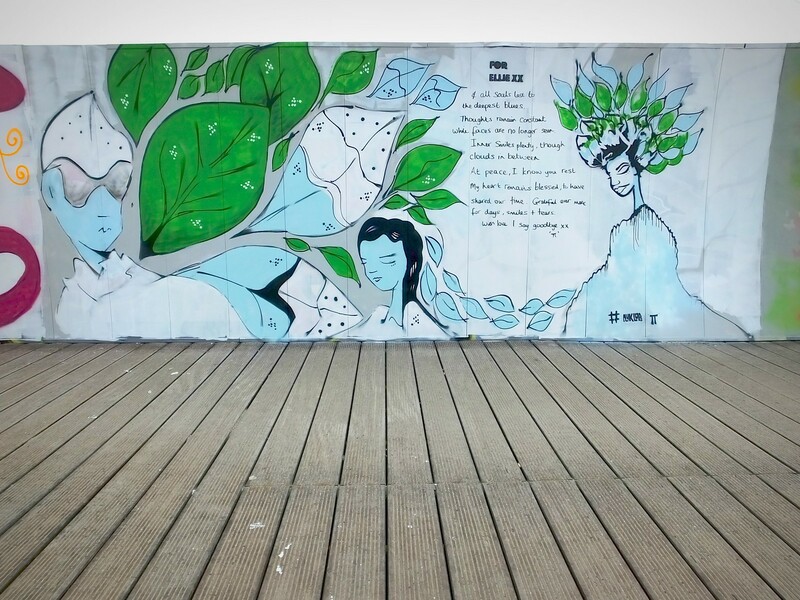 Around 30 artists arrived from Cardiff, Bristol and London to paint around the theme of Women or Nature. 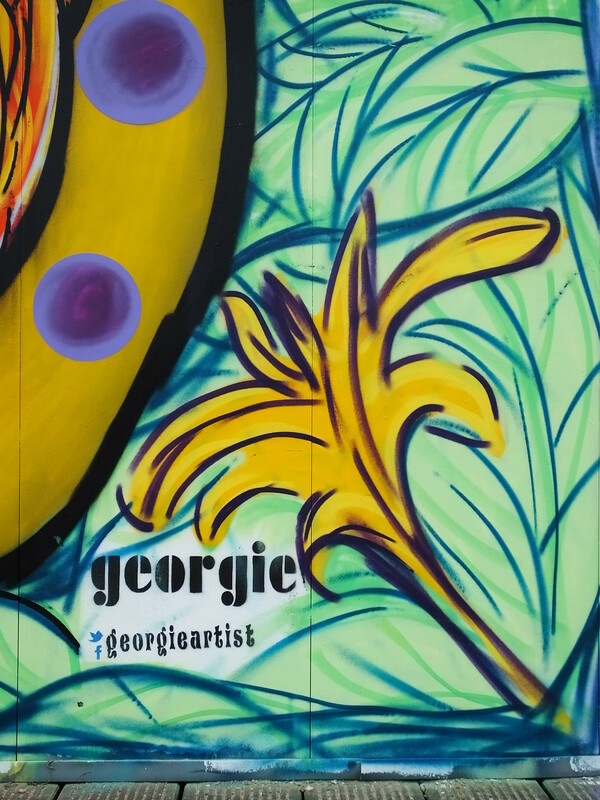 Below is the next selection of artwork created with some work in progress pictures and some final pictures too – complete with links to each artists website. 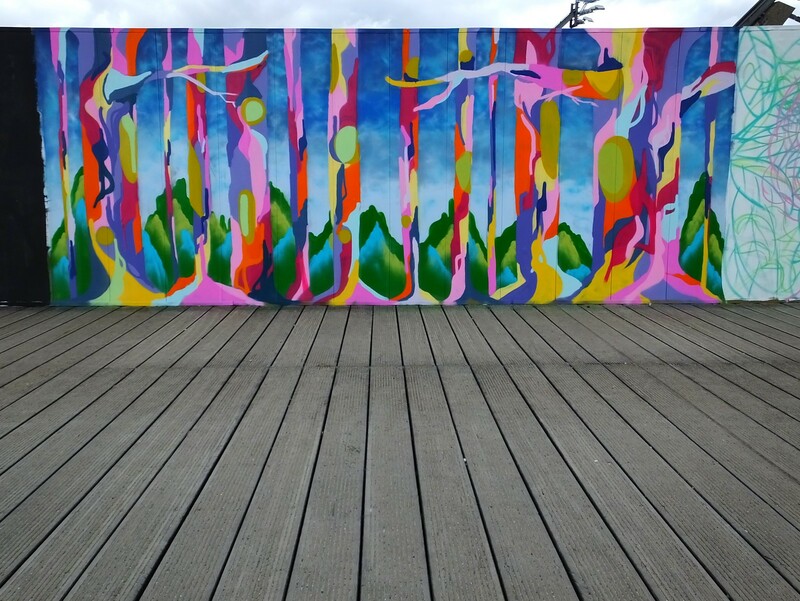 First up is this extremely colourful woodland scene by Mr Draws in totally striking vibrant colours. 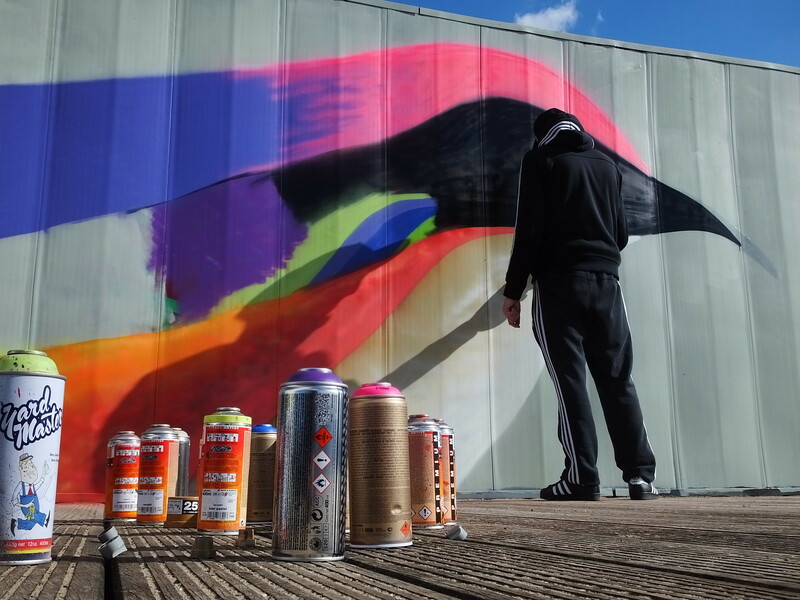 Mr Draws is a Bristol based artist whose work usually features nature and the interaction and experience that humans and animals have with it. 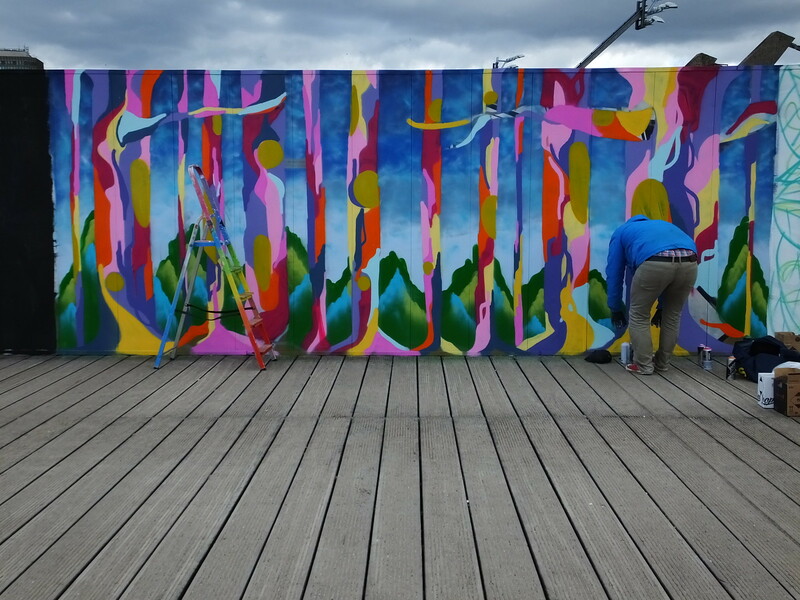 Here he began by painting over the previous work on the 340 foot long hoarding that follows the River Taff and added layer of colour after colour to build up his fantastic landscape fantasy. 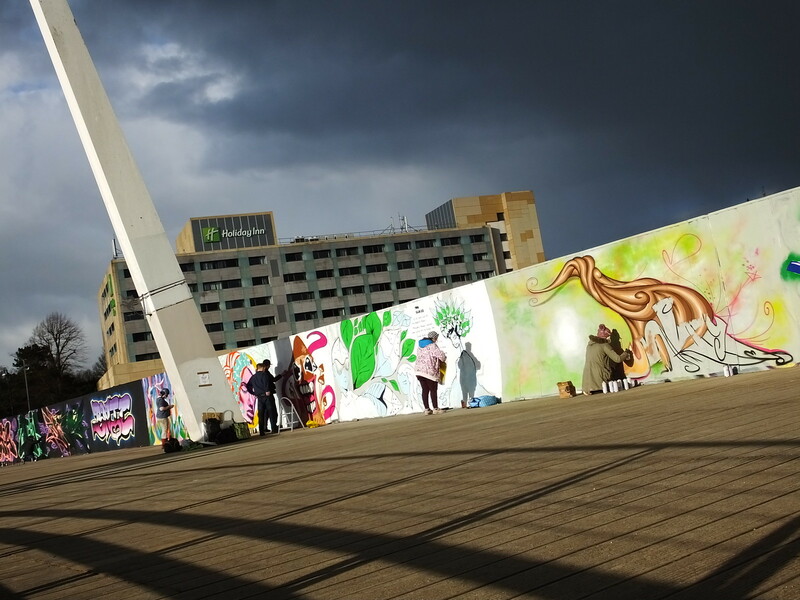 During the Saturday paint jam strong sunshine flooded the area but a few spells of dark clouds did pass by – luckily rather quickly. 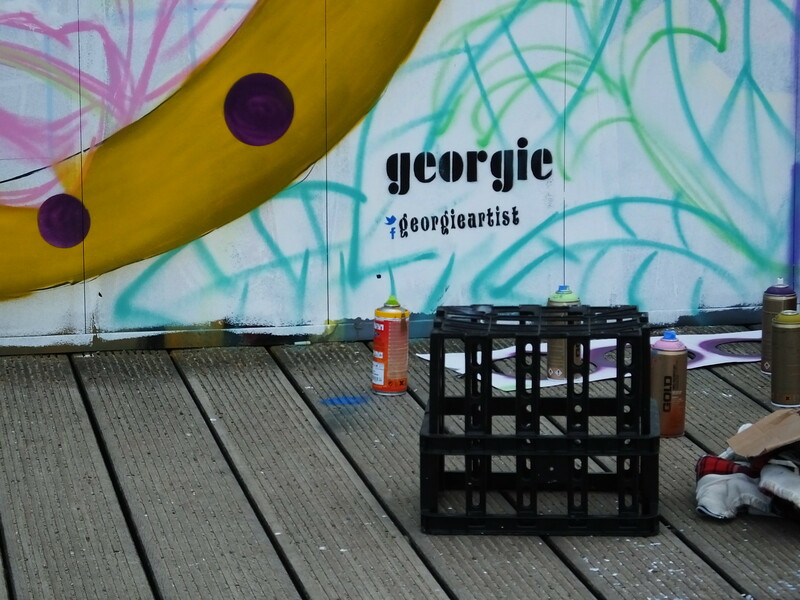 Next to Mr Draws was the female artist Georgie. 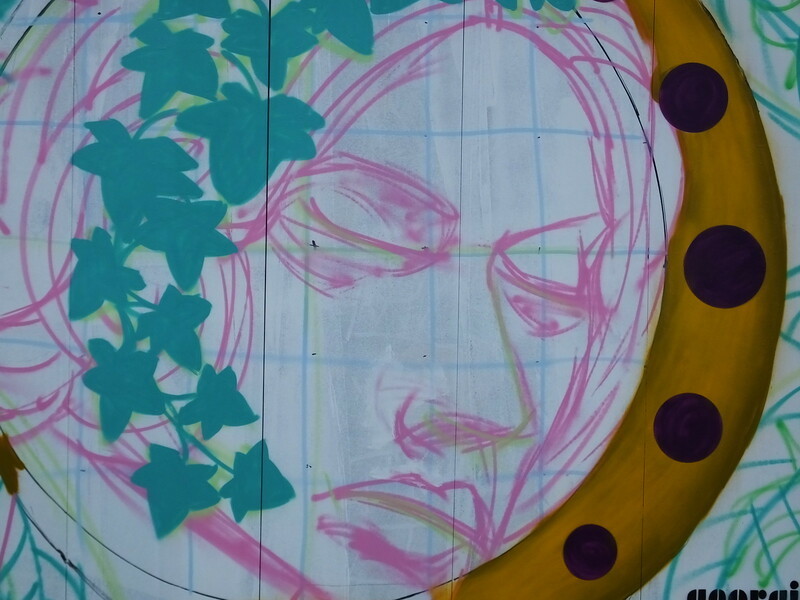 She began with the outline of her female character complete with some ivy in her hair. 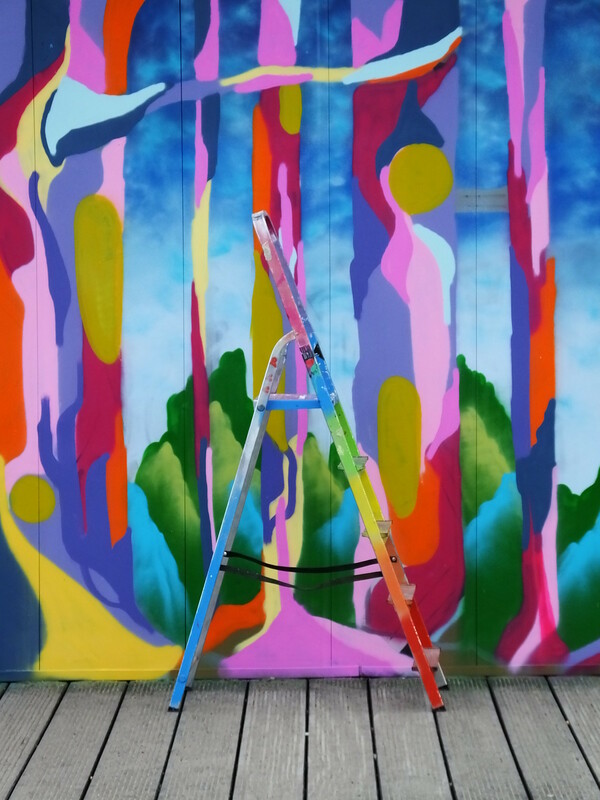 And then taking it to another level with these amazing colours – who needs that sunshine back to bring this one to life!? 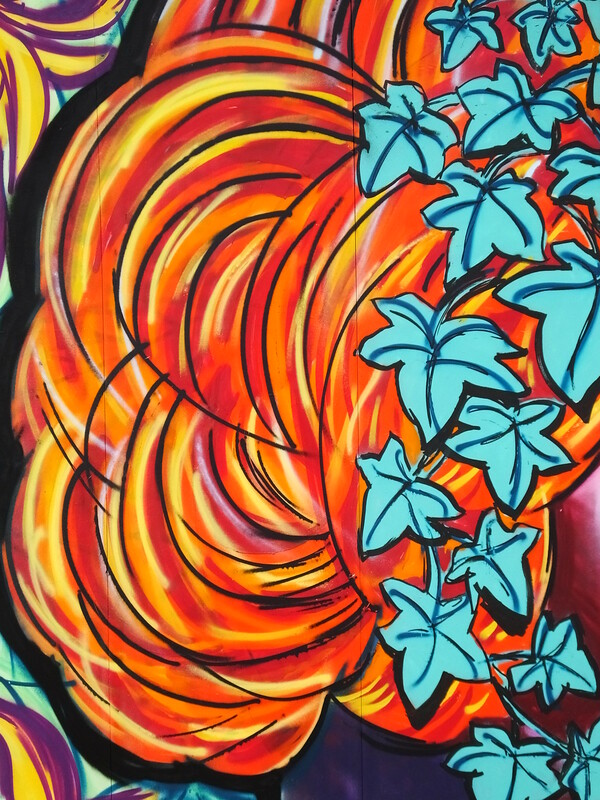 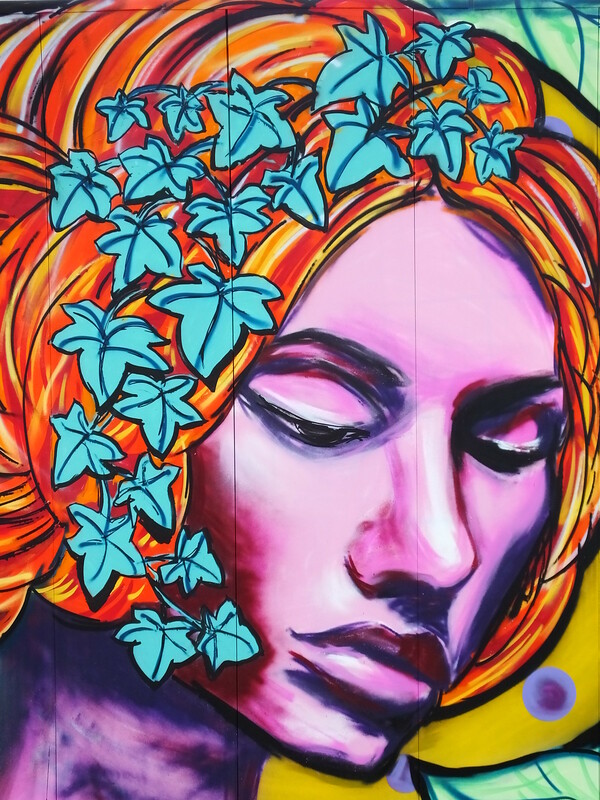 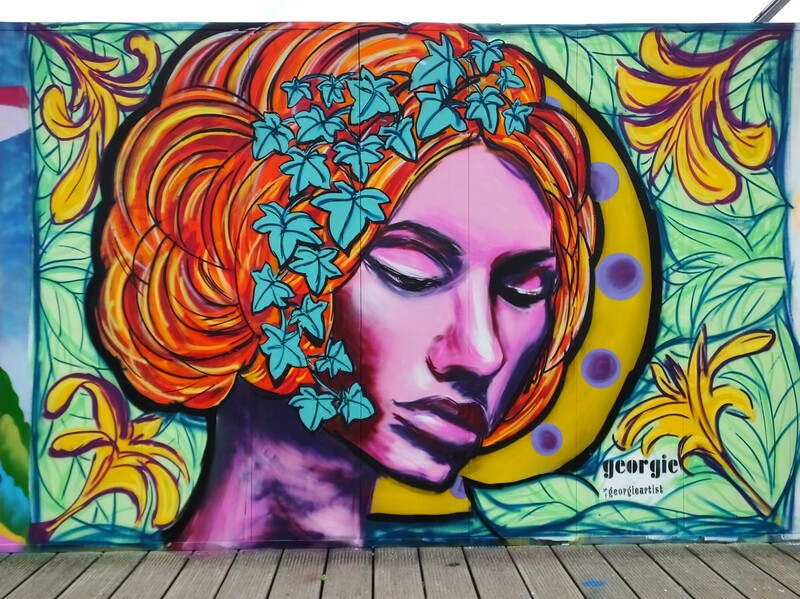 What a stunningly colourful piece from Georgie totally encapsulating the Women’s Day and nature theme perfectly. 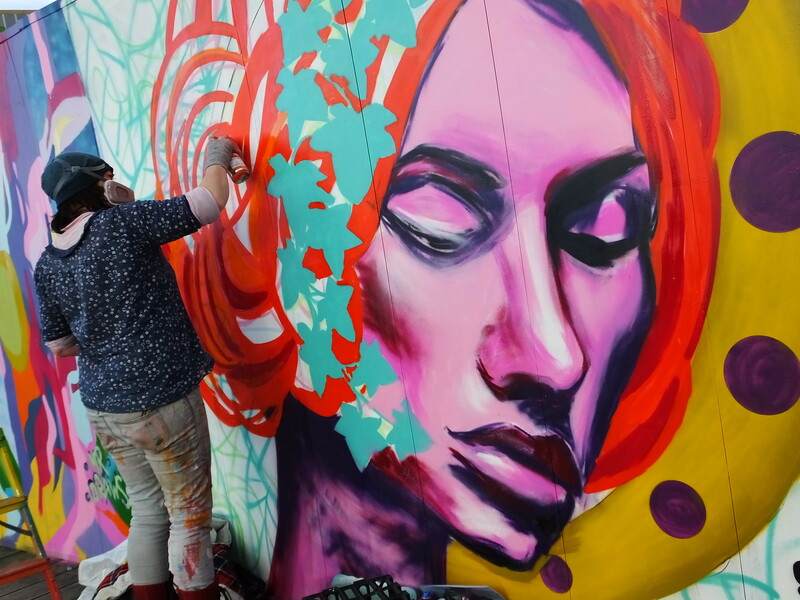 Most artists turned up and painted throughout Saturday afternoon but some also turned up on Sunday to complete a few outstanding pieces including KitKat from Bristol. 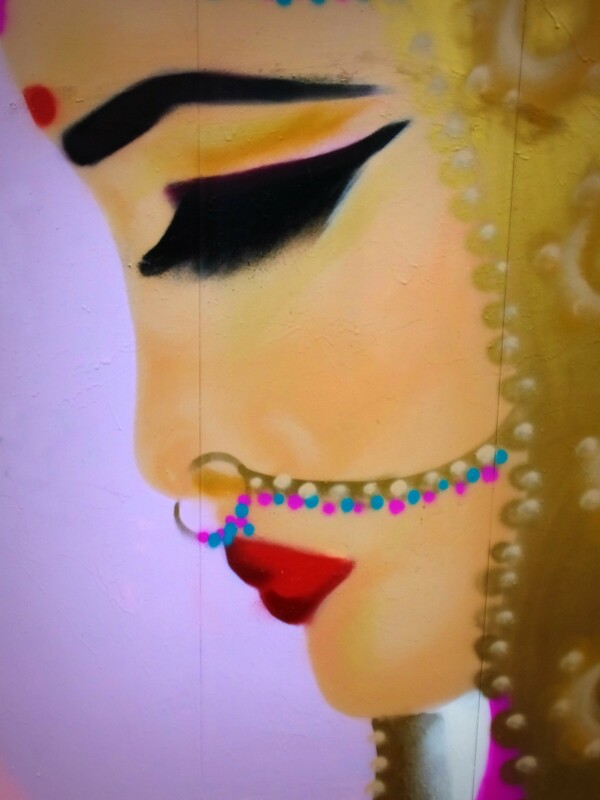 Here she painted another colourful woman complete with traditional headgear jewellry. 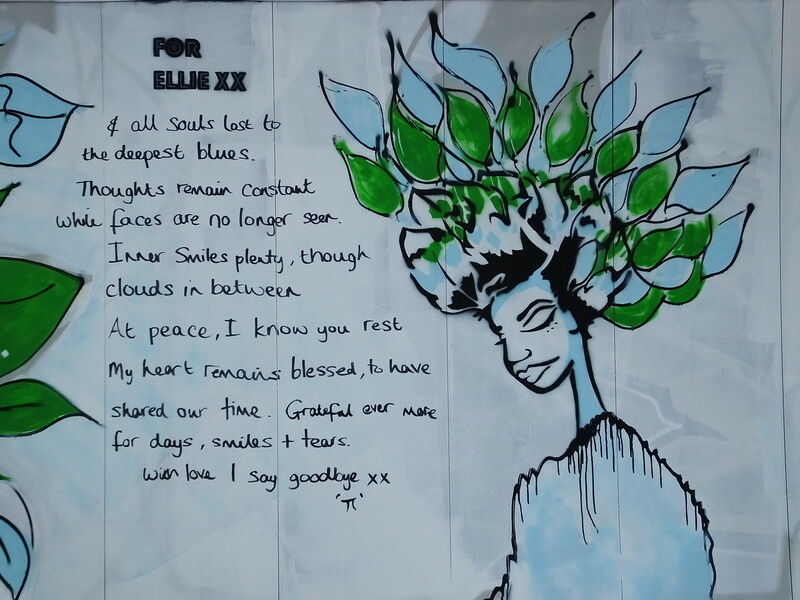 After these two zesty pieces it was good to see Pyklops paint a tribute to ‘Ellie’ in subtle tones of blue and green. 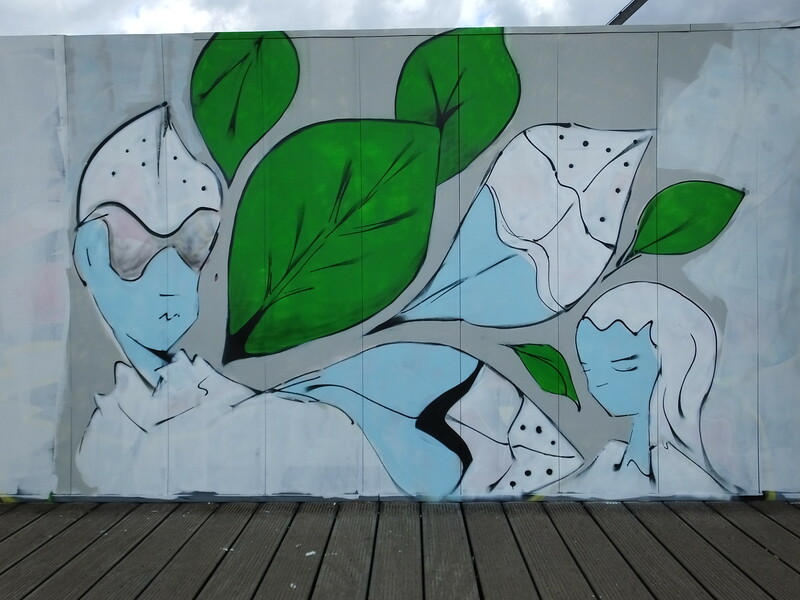 Featuring a very stylish character to the right hand side sporting headwear made up of leaves and accompanying giant leaves with further details to the left hand side. 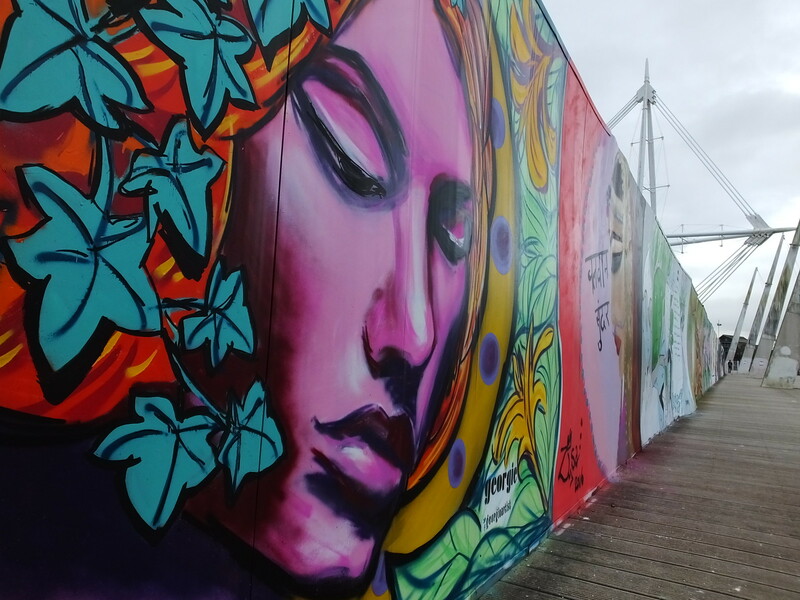 Memorial piece for the wonderful Elen Mai Wyn Jones… Celebrating a true Welsh Lovely, a great friend and in honour of her fight to be heard, understood, accepted and reckoned with.. 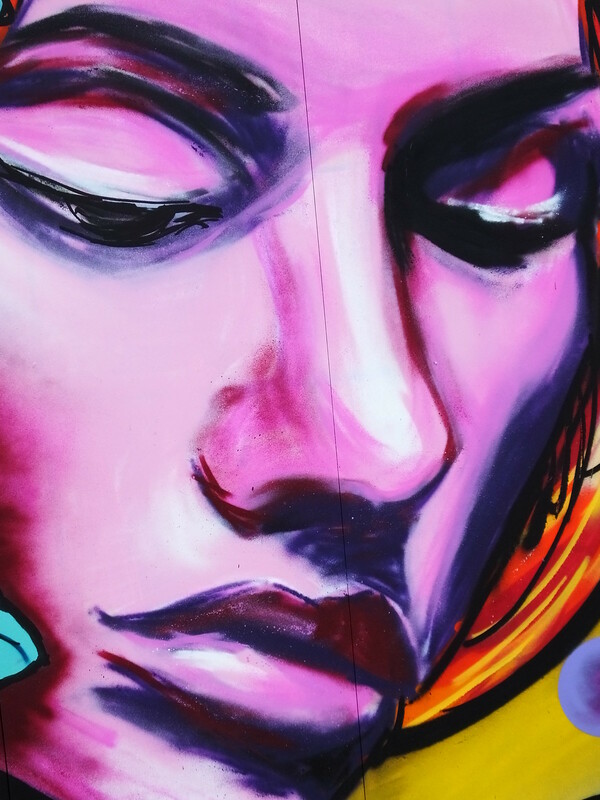 If you know of friends, family, colleagues or individuals who suffer from the daily battles with mental health.. 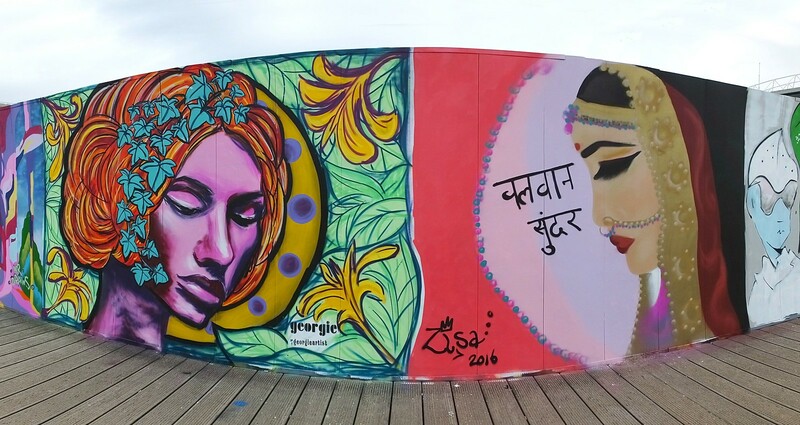 Please visit Mind.org.uk for help & support – Pyklops Instagram. 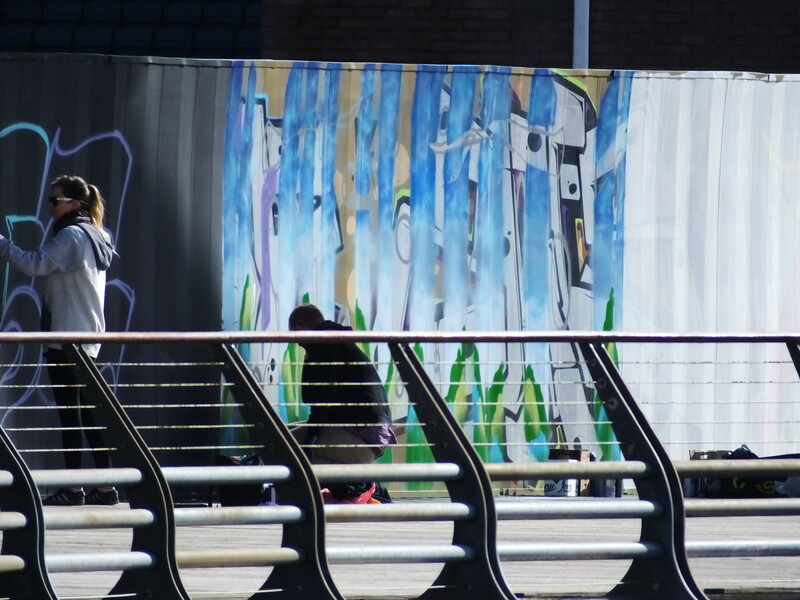 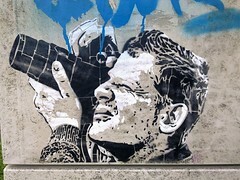 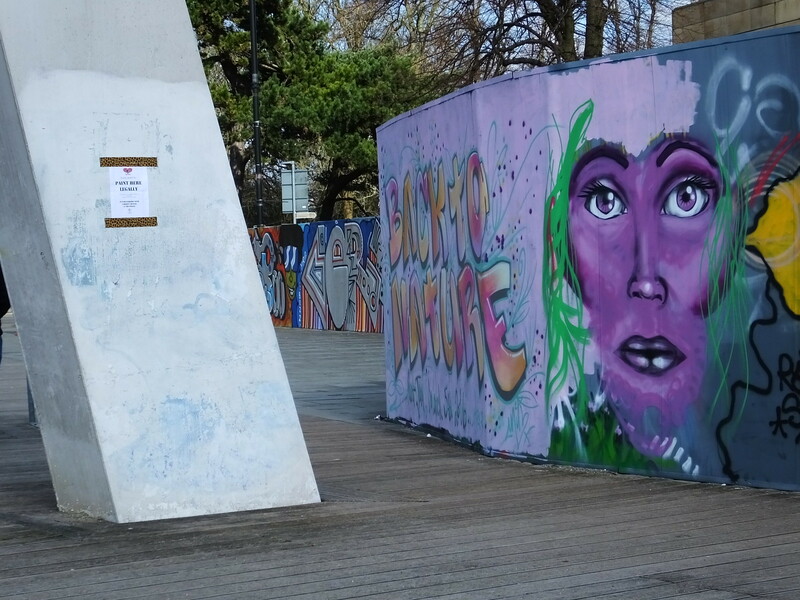 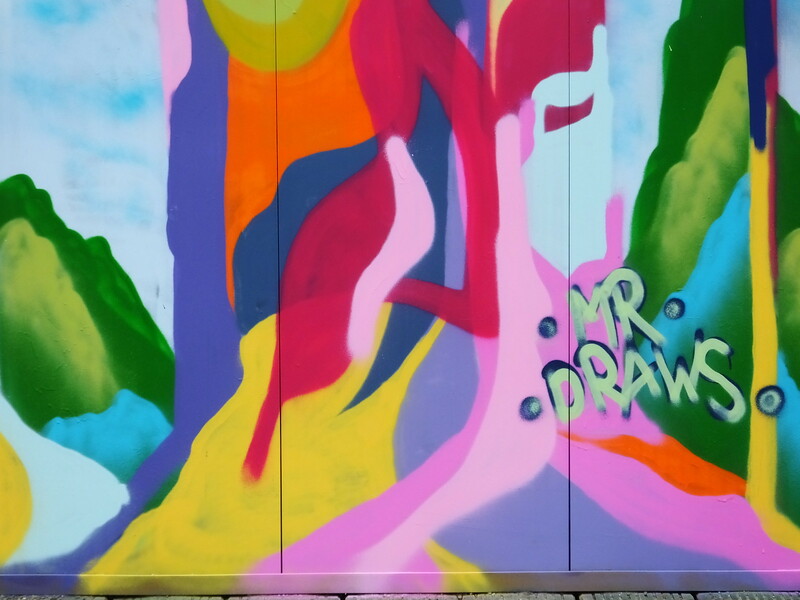 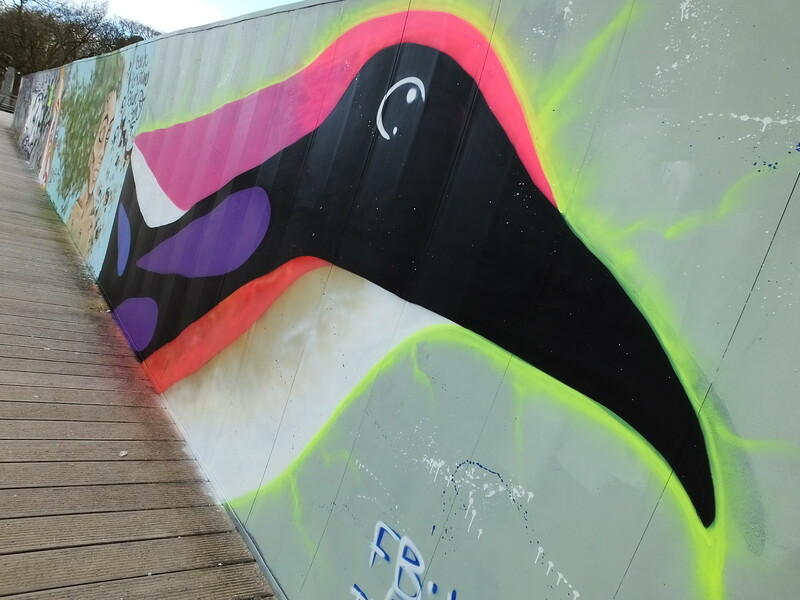 More colourful work appeared nearer the Castle-end of the Millennium Walkway courtesy of London based artist Vision. 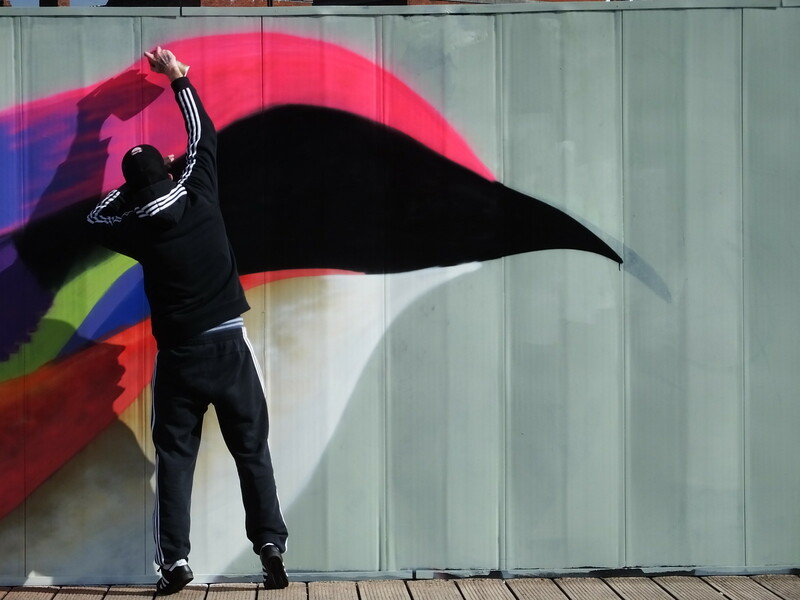 He questioned me on what I thought he was painting and I couldn’t decide on whether it was a landscape or a penguin. 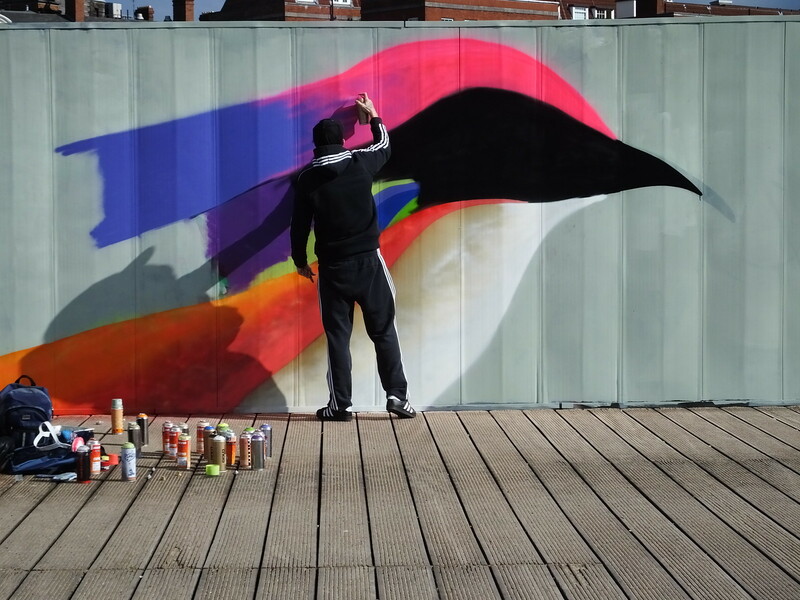 Luckily I opted for the correct answer (phew) and shows just how colourful a penguin can be! 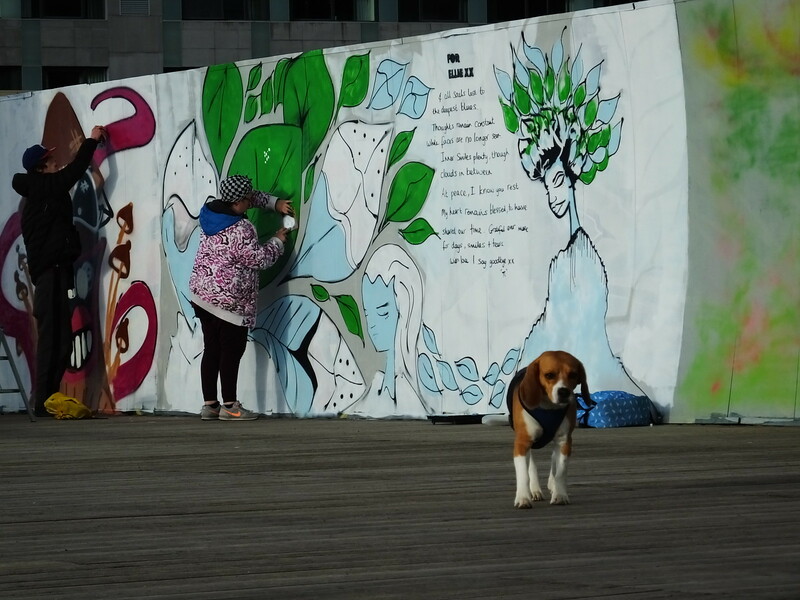 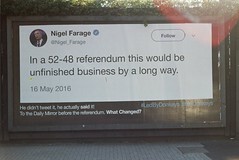 It really is great to see this previously grey, drab hoarding spruced up with so many great colours and ideas.